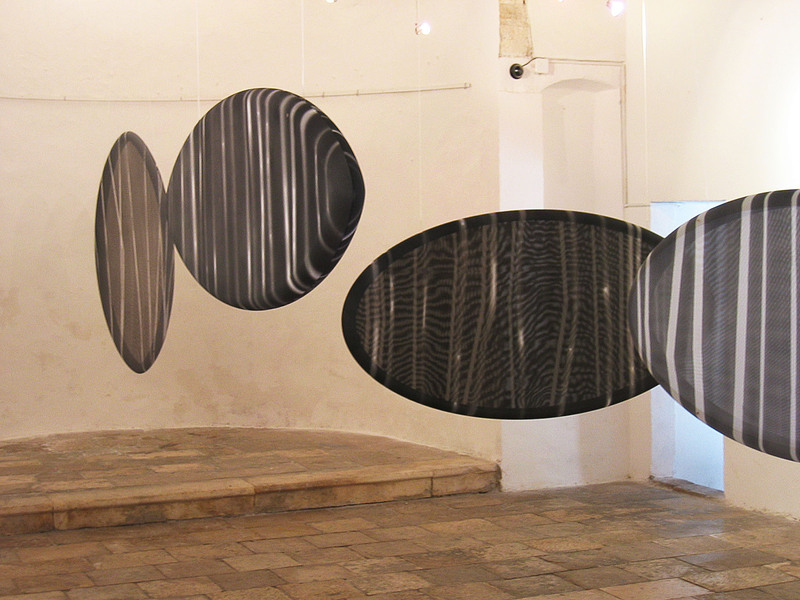 The term Silva subterranea (underground wood) comes from Ancient Greek mythology, and its variations appear in many historical religions and cults. 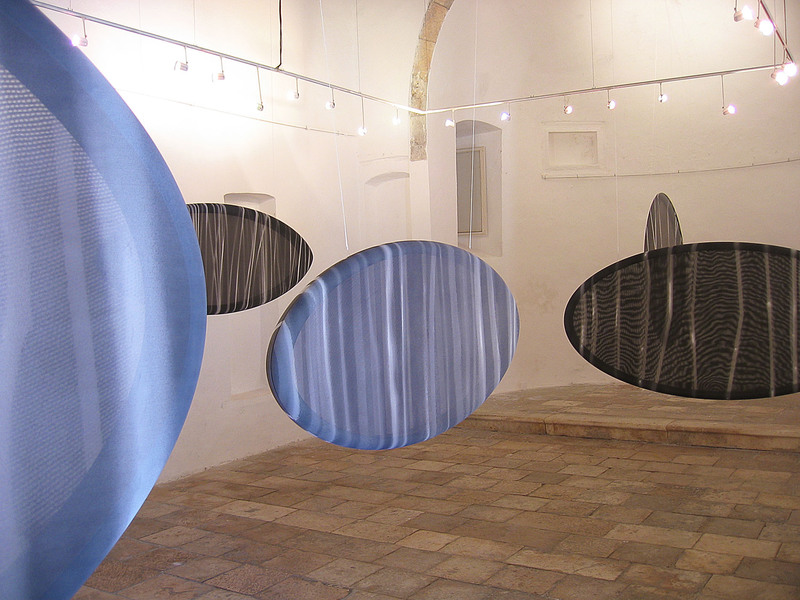 It presents the metaphor of subconsciousness and collectively unconscious, as well as a real space of personal metamorphosis and initiation - the state in which we are permeated by the instinctive knowledge which is archetypal and timeless. 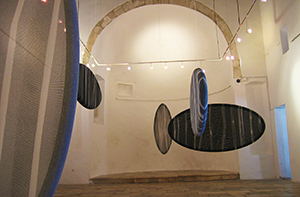 The exhibition Silva Subterranea was made partially as a reaction to the space of the St. Krševan Gallery, and partialy as the next step of author's research on the shape of an ellipse as a metamorphic passage between different states of conciousness. 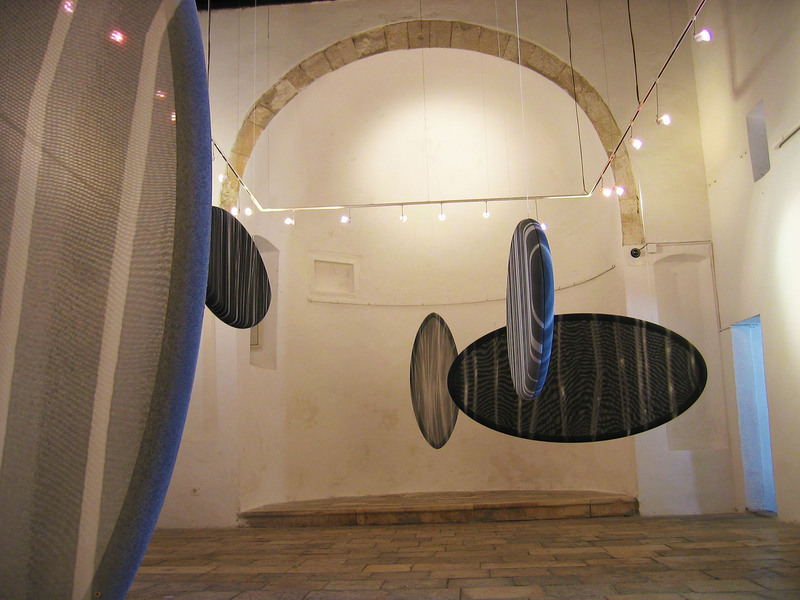 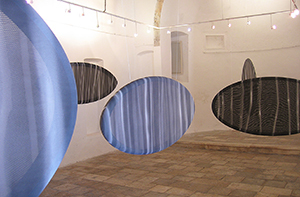 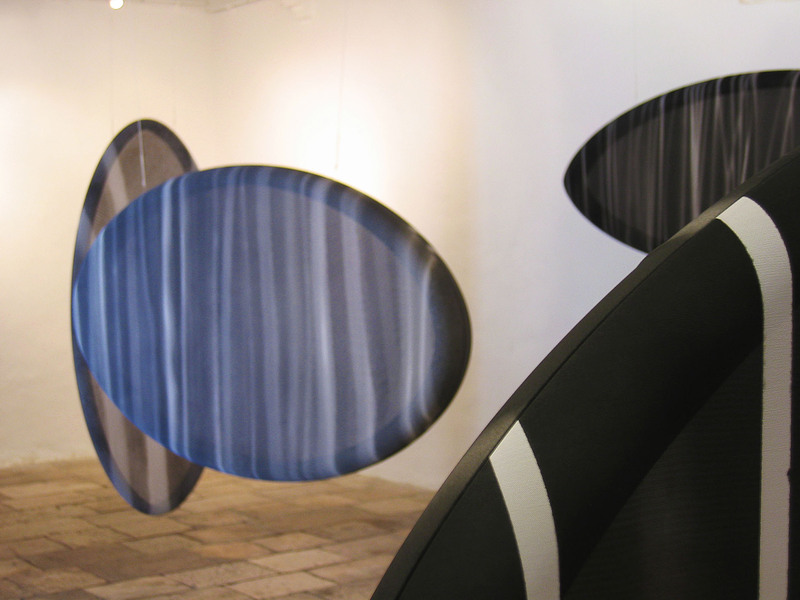 „Floating" objects, ovals with semi-transparent fabric painted on both sides, capture the viewers attention while at the same time they disable any long term fixation. 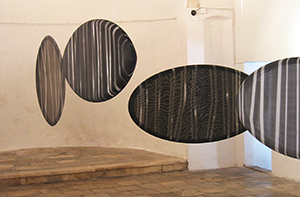 Grayish-white structures in organical-geometric dialect are materialistic, but because of their semi-transparency, they also act as three-dimensional shadows which are almost impossible to focus. 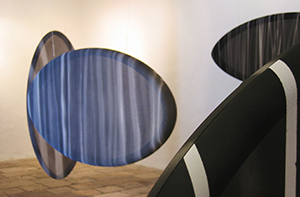 By that „deterioration" of sight at the attempt of focus, the tension is created, which can cause giving up on such attempt, or lead to resonance with the motive, i. e contemplation.